The Anchorage Coin Club was founded in 1988, to promote Numismatics in Alaska. Fellow collectors meet once a month on the first Wednesday of that month to share in the knowledge in this field. The club holds several coin shows every year for the public. The club also sponsors almost annually, an ANA seminar on topics like coin grading, counterfeit detection, colonial coins, ancient coins and much more. These seminars are taught by some the world experts in their field, people like Ken Bressett, Bill Fivaz, and J.P. Martin. All are welcome, young or old, to come and join our monthly meetings. There you will find many people who love to share their knowledge and their enthusiasm in the coin collecting. 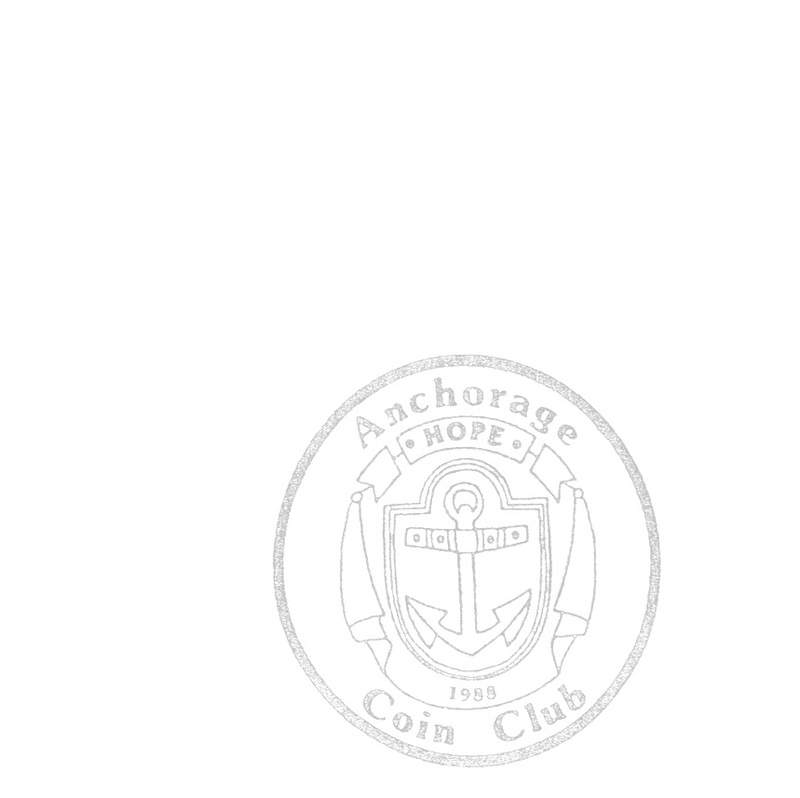 For more information about the Anchorage Coin Club, refer to the club's newsletter. The Coin Club Fur Rondy Coin Show was a Huge Success! The Evolution of the U.S. Nickel - Is It Worth a Plug Nickel? High Relief Gold Too Small? What's Up With The Cents of 1909? Their Prices! What Does Your Money Really Mean? Looking For Some Fun Reading? Are There Good Deals From The U.S. Mint? Why So Few Proof Coins in 1861? Greek Coin Tale c. 650 B. C.
Are High Priced Rare Varieties Worth It? Are You Looking for a $3 Gold Piece? Avoid These Three! Do You Have A Medium Cent In Your Collection? Is It Time To Collect Lincoln Cents? Are Popular Mint Errors A Good Value Now? Do You Collect Indian Head Cents? Capped Bust Half Dollar Varieties: Why Are They So Popular? They Only Made 8 Million of These? Should You Save Those Sac Dollars? Crowns As a Collecting Theme... Why Not? What Was Happening Back Then? How Few Did They Make?? How Do You Grade The Condition Of Paper Money? How Many Steps d'Ya Want? A Letter From The "Prez"
Hey Buddy, Can You Spare A Bingle? Missing - Let me know if you have a copy I can borrow! Woody, Is That A Fair Markup? Needed - Let me know if you have any of these issues!